I’m in Denver for the annual Great American Beer Festival, the largest beer festival in the country. 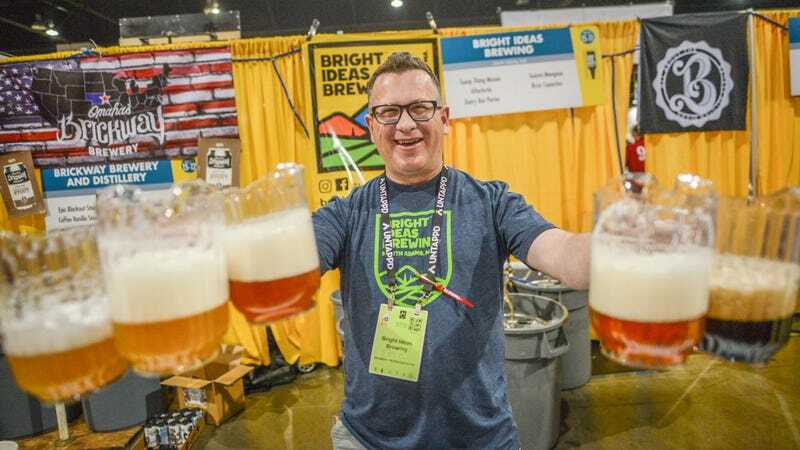 More than 800 breweries are here pouring more than 4,000 beers—and that’s just inside the festival itself. Outside of the three-day event, there are countless tap takeovers, brunches, happy hours, special beer releases, etc. that all add up to multiple days of wall-to-wall beer drinking. How do the beer professionals do it, and not end up in drunken puddles on the floor? I asked a few for their time-tested tips.